You have only 12 moves. This level has medium difficulty. 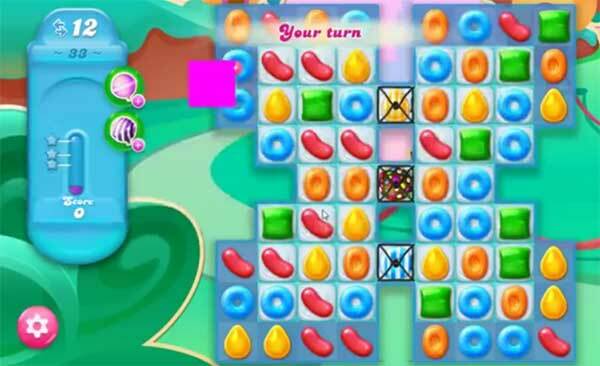 For this level try to play near to special candy to break them to break more frosting blockers. Try to make special candy and break little late to break last few blockers to get more pufflers than the cupcake carl.